This ring is only available as a size UK O, however we should be able to re-size it for you and have it delivered in up to 10 days. If you'd like a ring with a decadent design and textured look then this piece may well be what you're looking for. 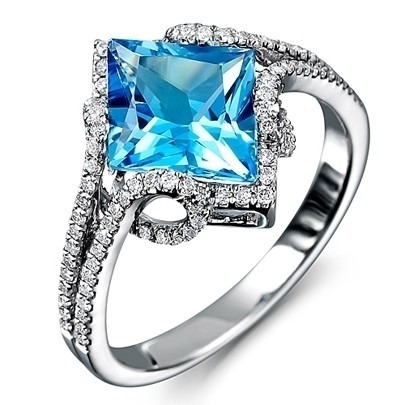 Crafted from 9 carat white gold, at its heart is s bright blue topaz stone complimented by diamond accented shoulders full of sparkle.